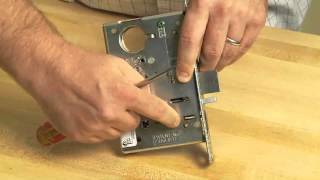 This Sargent 8270 electromechanical fail safe function is a solenoid activated mortise lock body. A key in the outside lever will retract the latchbolt unless the outside lever is locked by the solenoid. Inside lever is always free. Includes fail safe security feature will will ensure that the door remains unlocked in the event of a loss of power.